The Assembly is the supreme organ of the Authority and has the power to establish general policy. It consists of all members of the Authority, each member having one representative. The Assembly meets in regular annual sessions, if not otherwise decided, at Jamaica, the seat of the Authority. The Assembly adopts its rules of procedure and elects its president and other officers as required, who hold office until their successors are elected at the next regular session. The Assembly has the power to establish general policies on any question or matter within the competence of the Authority as well as powers and functions expressly stated in the Convention. Decisions on questions of procedure, including special sessions, are taken by a majority vote of the members present and voting; decisions on all other questions (questions of substance) can -in general - be taken only by a two-thirds majority of the members present and voting. 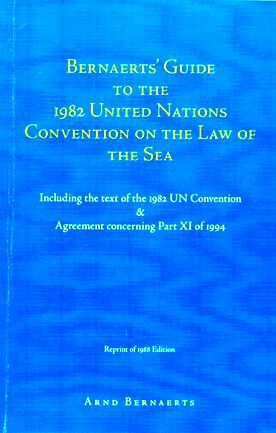 The Council is the executive organ of the Authority and has the power to establish, in conformity with the Convention and the general policies established by the Assembly, the specific policies to be pursued by the Authority on any question or matter within the Authority's competence. The Council consists of thirty-six members, who are elected by the Assembly in accordance with a detailed directive designed to ensure that states parties with certain interests and from certain regions are represented. The electoral term is four years, and each member of the Council has one vote. The council meets as often as the business of the Authority requires, but not less than three times a year, at the seat of the Authority. Two organs are established to advise and aid the Council: an Economic Planning Commission, and a Legal and Technical Commission. Each Commission has fifteen members who are elected by the Council from among the candidates nominated by the states parties. The candidates are expected to be highly qualified in the fields appropriate for the position, and they are elected to serve a five-year term. The commissions' responsibilities cover a wide field, but they have no independent directive power and can act only through the Council or on behalf of the Authority (e.g., issue production authorizations). The Secretariat is established to fulfil the administrative functions of the Authority. The Secretary-General is elected by the Assembly for a term of four years. The staff is appointed by the Secretary-General and employed in accordance with the regulations of the Authority. The Secretary and his staff are obligated to secrecy. The Enterprise is organized with elements of a private company, with a director general and a governing board of fifteen members and has to operate in accordance with sound commercial principles. But its position remains that of an organ of the Authority, and as such it envoys certain privileges and must fulfil specific duties. 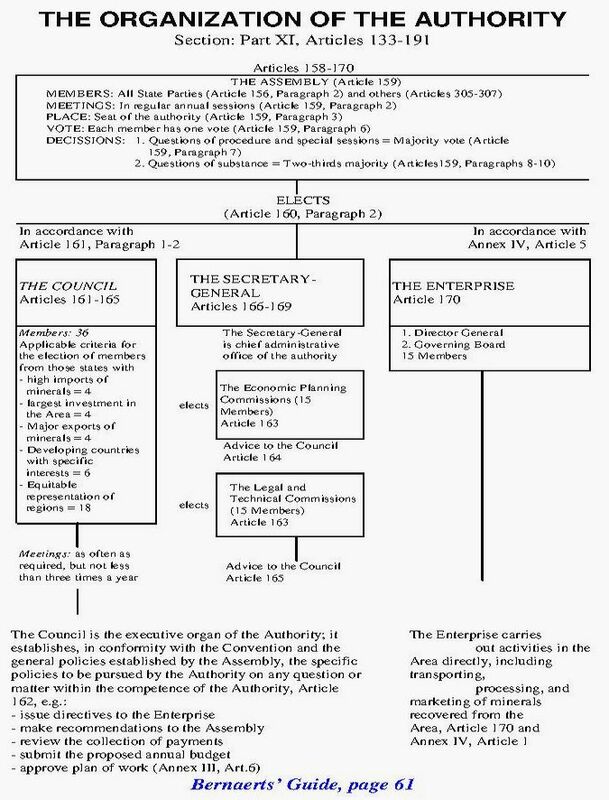 The Enterprise is subject to direction and control by the Council and must after an initial period of a maximum of ten years transfer income to the Authority.